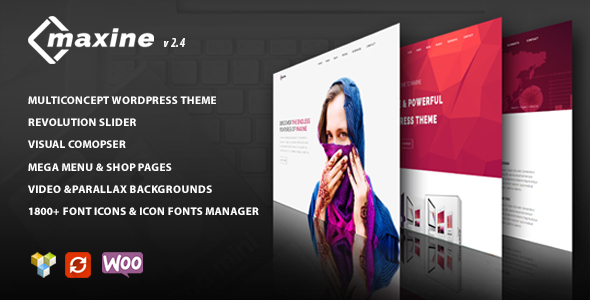 Maxine is a powerfull and flexible multiconcept WordPress Theme. Can be successfully used for corporate site, blog site, ecommerce site, portfolio and many more. It’s created by using the latest HTML5 and CSS3 techniques in accordance with the latest WordPress Coding Standards. Fits all popular mobile devices and tablets. Thanks to everobody who informed us about errors, bugs and features that could be useful in Maxine Theme. We fixed reported bugs and added new features to increase usability of our theme in order to suit your needs. - Fixed DP Icon Manager bug.